Looking to gaze at the northern lights without exposing yourself to the elements? 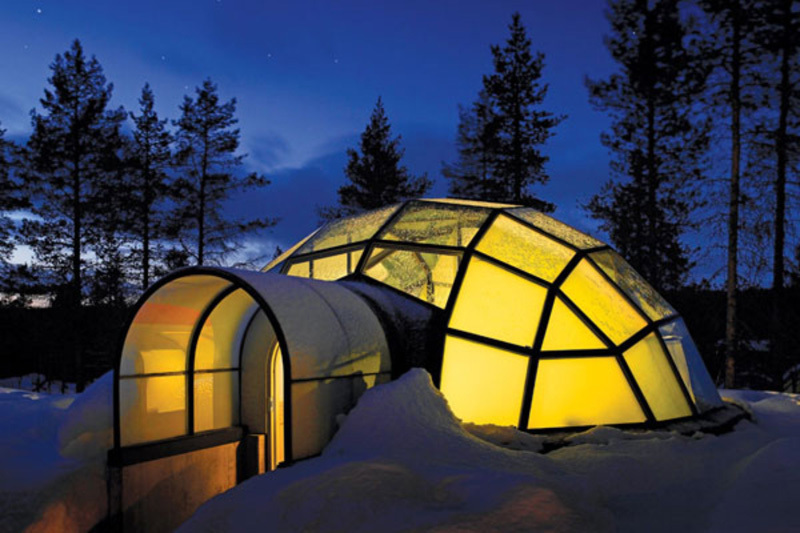 Look no further than the Igloo Village at Hotel Kakslauttanen. The Aurora Borealis is one of the seven natural wonders of the world, and tourists have long traveled from near and far to take in the epic beauty of these northern lights. The excitement is sometimes tempered, however, by the fact that the best time to witness the phenomena is in the dead of winter, and in locations that are known for extreme cold! 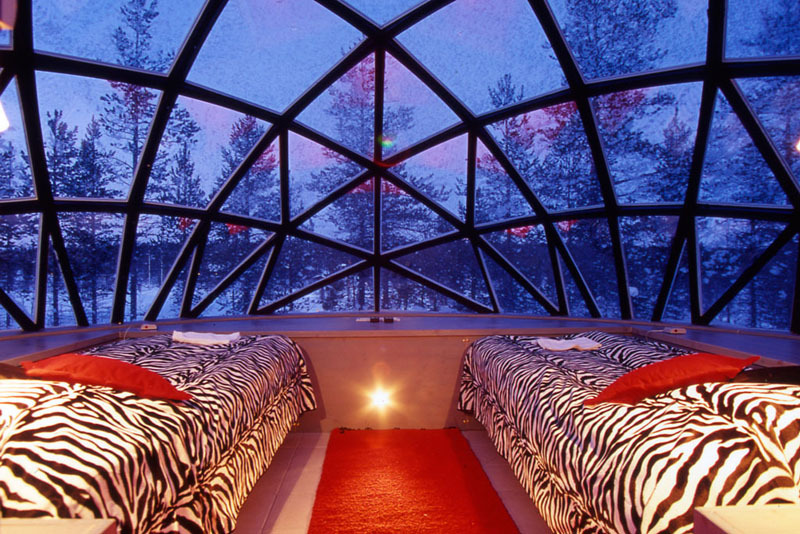 Hotel Kakslauttanen, located in the wilderness near Finland’s Urho Kekkonen National Park, has found a creative and visually unique solution to the problem: glass igloos. The lack of trees or streetlights produces the perfect combination for viewing the northern lights within the Arctic Circle. 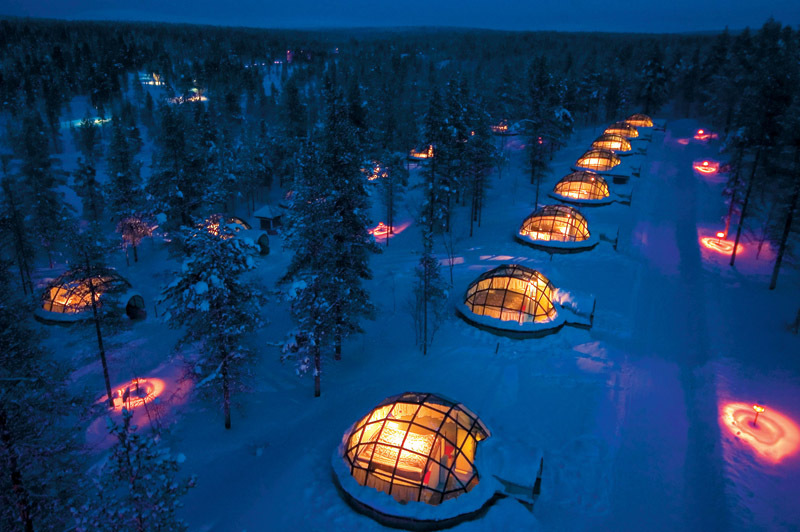 The hotel has built 20 glass igloos within the park, with each just large enough to accommodate two people. 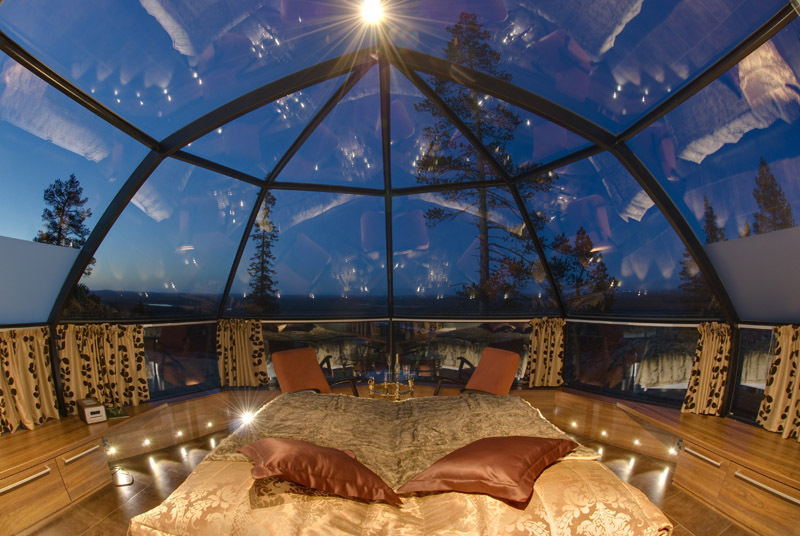 The thermal glass walls and ceilings in these structures have been treated with a frost preventative. 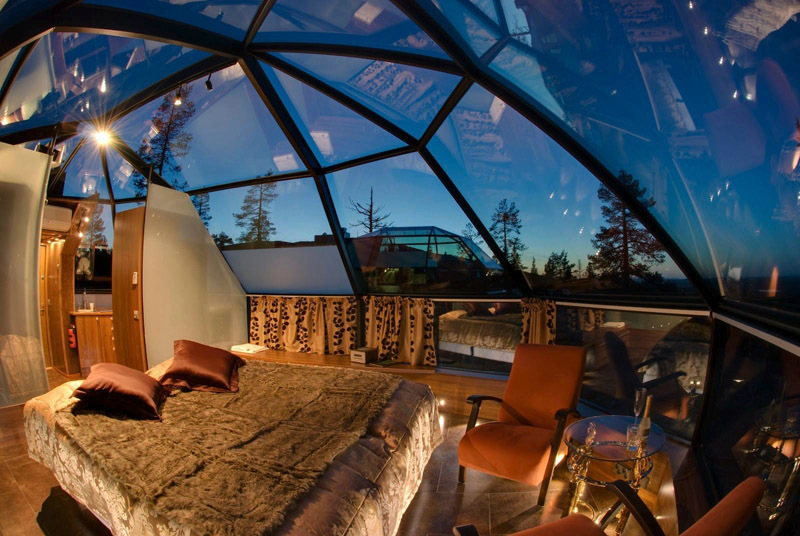 This enables them to maintain a crystal clear view of the surrounding sky—along with the rest of the natural outdoors—even in temperatures as low as -22 degrees Fahrenheit. 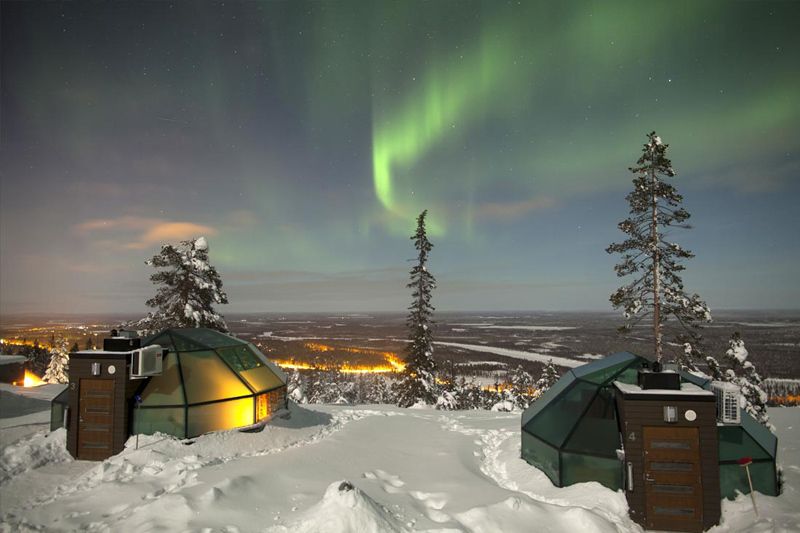 When conditions are right, visitors are treated to an amazing view of the Aurora Borealis in a warm and comfortable location. As you might imagine, this destination is a favorite for lovers looking for a memorable, secluded, and romantic trip together. It’s also a pretty affordable getaway. 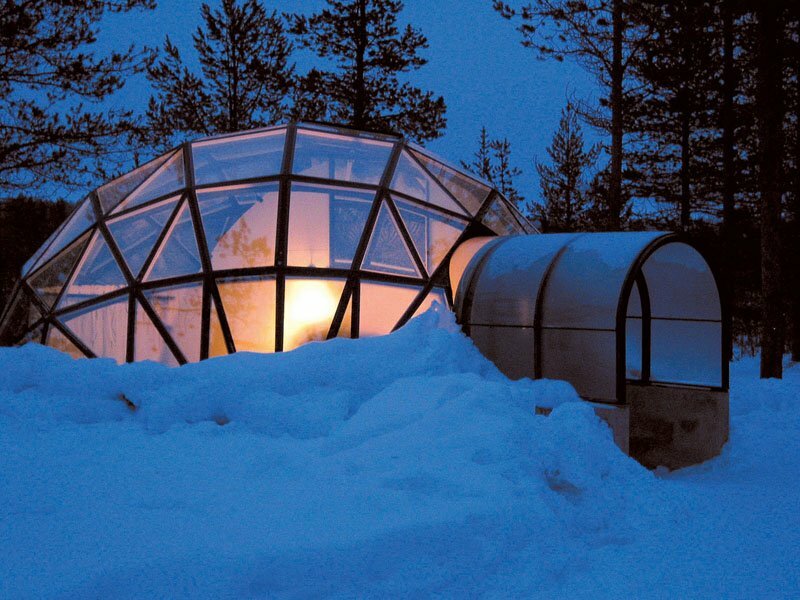 The compact space and well-sealed panels make it very economical to heat each unit, and the body heat produced by each igloo’s inhabitants reduces energy costs even more. 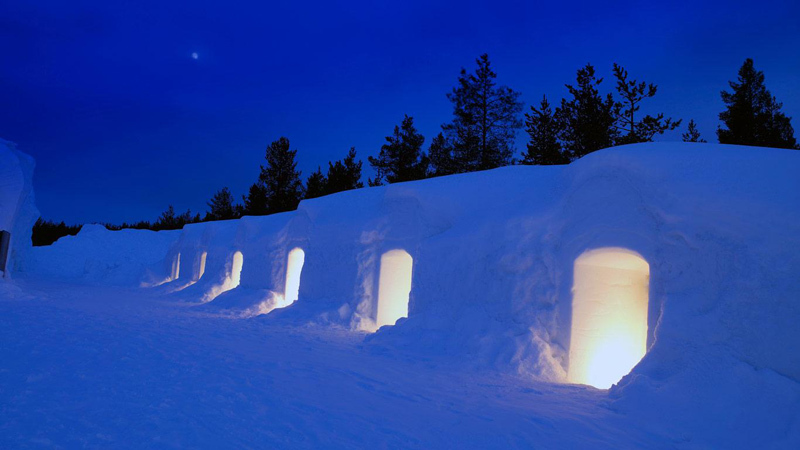 In addition to the glass igloos, the hotel also offers lodging alternatives, including traditional ice igloos and cabins. 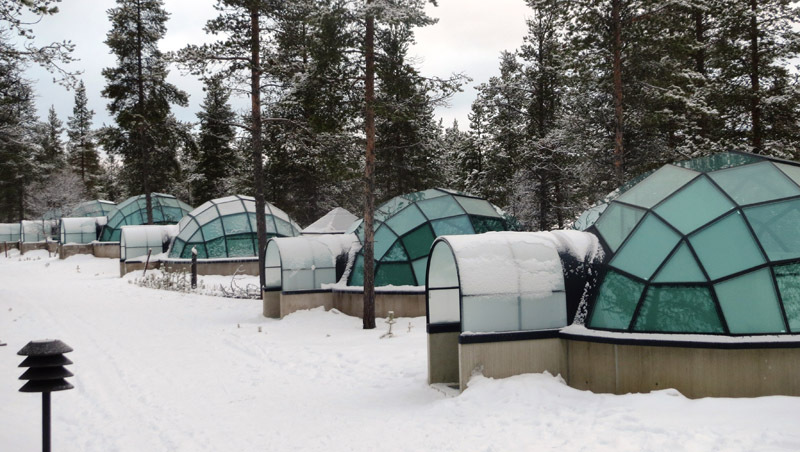 Another one of the resort’s biggest draws is its smoke sauna, the largest in the world. 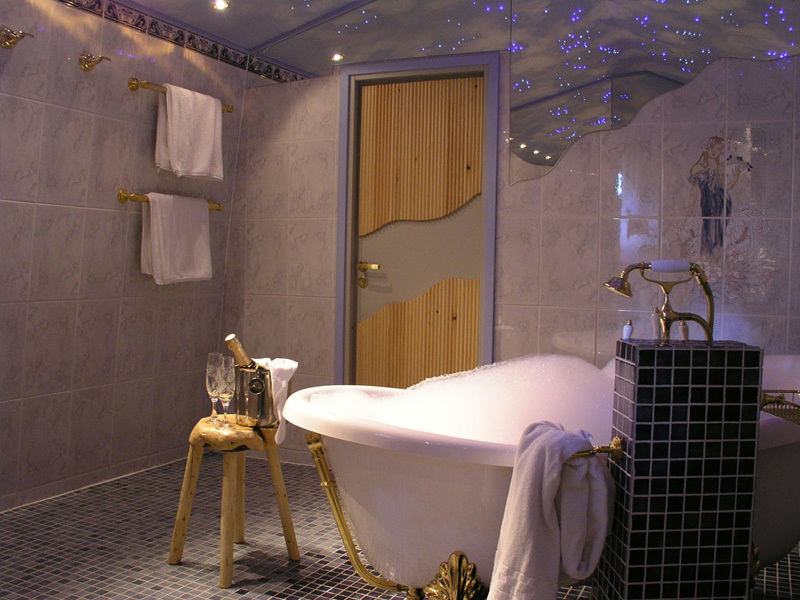 It’s perfect for warming up and relaxing on those nights when the weather does manage to get too cold for comfort.